Sweater dresses, parkas, ankle boots, oh my! Don't want to leave the house for Black Friday? You don't have to, because American Eagle is running a 40% off (plus free shipping) sale online RIGHT NOW! And it'll last all weekend. 1. A chenille balloon-sleeve sweater in everyone's favorite shade of millennial pink. Price: $26.97 (originally $44.95) / Sizes: XXS-XXL / Available in four colors. 2. A cozy faux-suede moto jacket for pulling together edgy outfits for the 'gram. Price: $89.97 (originally $149.95) / Sizes: XXS-XXL / Available in two colors. 3. A pair of mom jeans that'll look even better when they're worn in. 4. 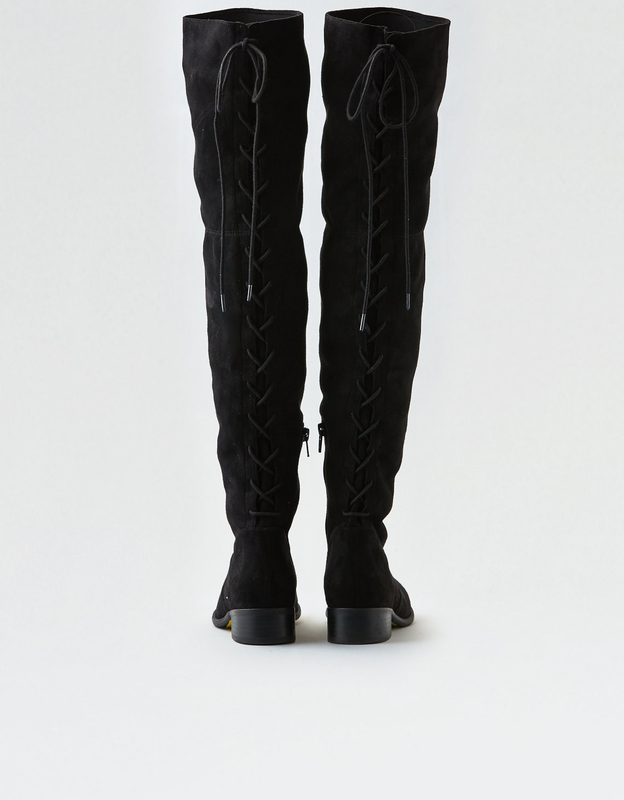 A pair of lace-up over-the-knee boots to keep your legs warm in the most stylish way possible. Price: $41.97 (originally $69.95) / Sizes: 5-11 / Available in two colors. 5. 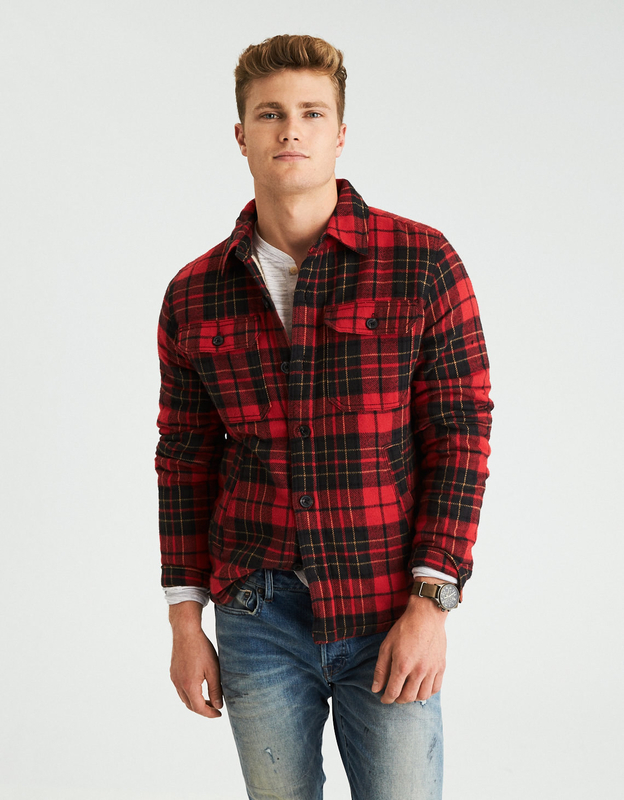 A sherpa-collar denim jacket so you can channel your inner James Dean. 6. A ribbed turtleneck sweater dress that honestly looks like something Audery Hepburn would wear. There are zipper details on the side! Price: $35.97 (originally $59.95) / Sizes: XXS-XL / Available in two colors. 7. A waffle-knit sweater with netted sleeves for an autumnal alternative to cold-shoulder tops. 8. A pair of crew socks to do all the talking for you, so you don't have to break your binge-watching streak. Price: $5.37 (originally $8.95) / Available in three designs. 9. An embroidered V-neck hoodie very much the opposite of basic. Price: $29.97 (originally $49.95) / Sizes: XXS-XXL / Available in two colors. 10. 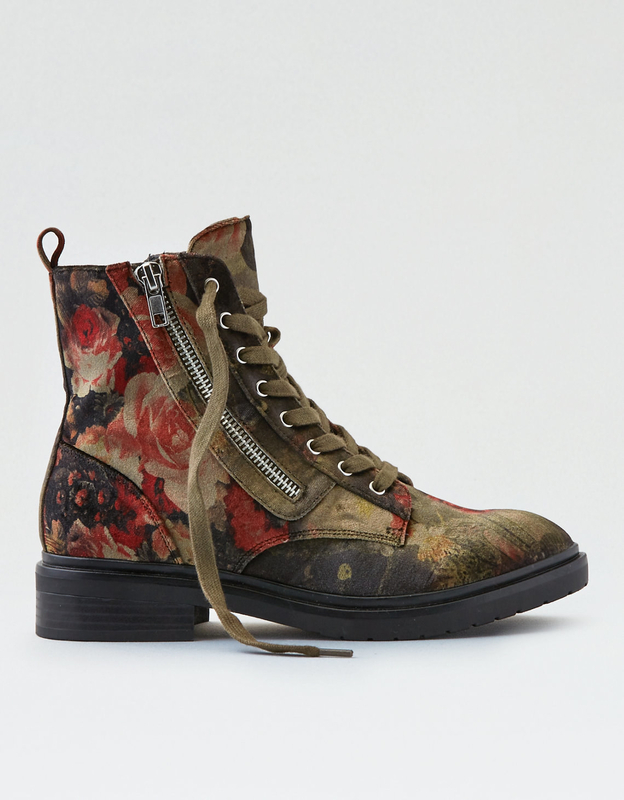 A pair of vintage-inspired velvet combat boots that's the perfect combo of grunge and luxury. 11. 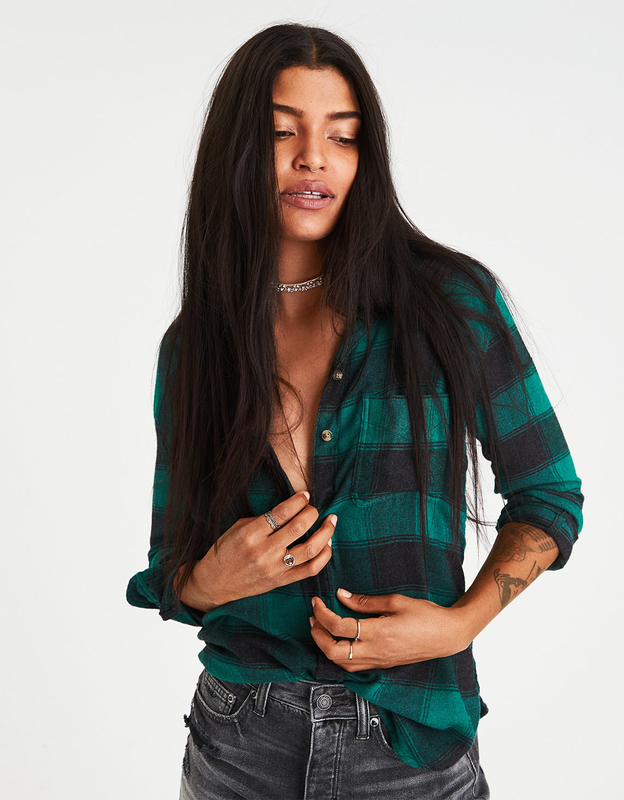 A pair of super stretchy high-waisted black jeans you'll wear so much, you'll be genuinely sad whenever they go in the wash.
12. A velvet bomber guaranteed to make you the coolest kid on the block (or at the very least, the best dressed). Price: $53.97 (originally $89.95) / Sizes: XXS-XXL / Available in two colors. 13. An oh-so-cozy cable knit sweater that'll look amazing tucked into a faux-leather skirt. Price: $35.97 (originally $59.95) / Sizes: XXS-XXL / Available in three colors. 14. A chic and simple tie-sleeve V-neck sweater you'll 100% wear on repeat. Price: $29.97 (originally $49.95) / Sizes: XXS-XXL / Available in four colors. 15. 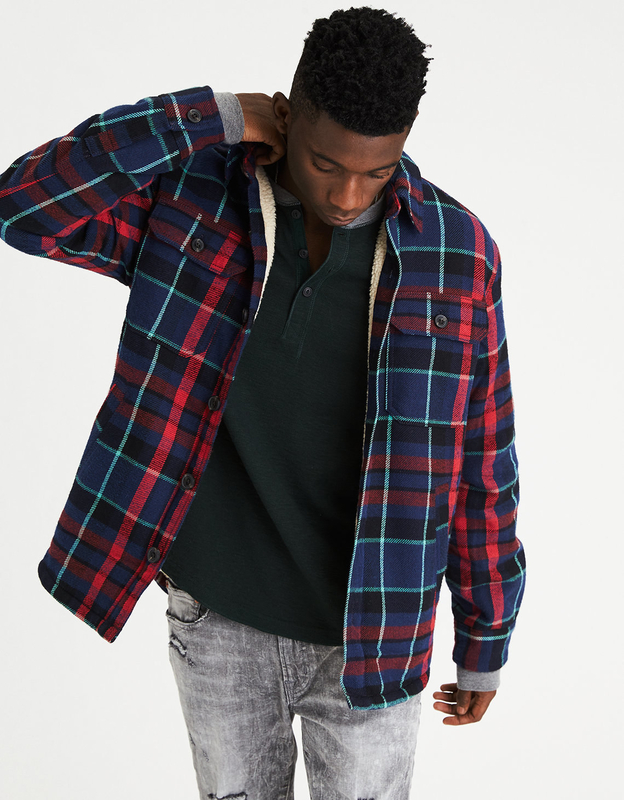 A fleece-lined flannel shirt jacket to complete your lumberjack-inspired ensemble. Price: $41.97 (originally $69.95) / Sizes: XS-XXXL / Available in two colors. 16. A pair of comfy sweatpants that'll give you a ~fleece~ of mind. You got 99 problems, but your pants ain't one! Price: $23.97 (originally $39.95) / Sizes: XXS-XXL / Available in three colors. 17. A waffle-knit cardigan (with pockets) so soft and warm, your friends may try to steal it. 18. A velvet wrap skirt to twirl around in and convince others that you're a figure skater off duty. Price: $23.97 (originally $39.95) / Sizes: XXS-XXL / Available in two colors. 19. 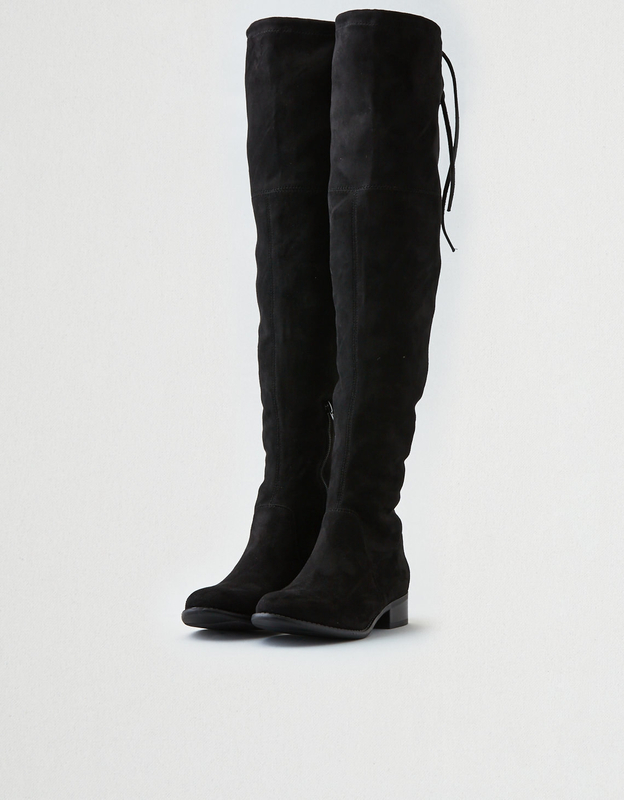 A pair of faux-leather booties with a side-zip detail that makes them look very designer-esque. Price: $35.97 (originally $59.95) / Sizes: 5-11 / Available in two colors. 20. A pom-pom beanie so your head can stay warm and adorable even when the weather outside is frightful. Price: $9.57 (originally $15.95) / Available in three colors. 21. A dreamy sweater dress to wear with over-the-knee boots now and with sandals in the spring. Price: $26.97 (originally $44.95) / Sizes: XXS-XXL / Available in nine colors. 23. A waffle-knit turtleneck with lace-up shoulder details — an underrated winter essential. Price: $32.97 (originally $54.95) / Sizes: XXS-XXL / Available in five colors. Price: $23.97 (originally $39.95) / Sizes: XS-XXXL / Available in four colors. 25. A pair of faux-suede booties that'll go with literally everything in your closet. 26. A split-sleeve sweater dress perfect for family gatherings. It's pretty, comfortable, and grandparent-friendly. 27. A gorgeous embroidered faux-leather skirt to wear with tights and heeled booties on a night out. 28. A fabulous kimono that'll make you question why everything in your closet isn't made out of velvet. Price: $29.97 (originally $49.95) / Sizes: XXS-XXL / Available in seven colors. 29. A two-in-one olive parka (with a removable inner layer) made even more perfect by a pink faux-fur trim. 30. A slouchy pleat-sleeve sweatshirt for days you don't feel like trying but still want to look cute AF. Price: $23.97 (originally $39.95) / Sizes: XXS-XXL / Available in four colors. 31. A pair of moto jeans that have the same effect as a leather jacket. Basically, they make everything look more badass. Price: $41.97 (originally $69.95) / Sizes: 00-20 / Available in four colors. 32. 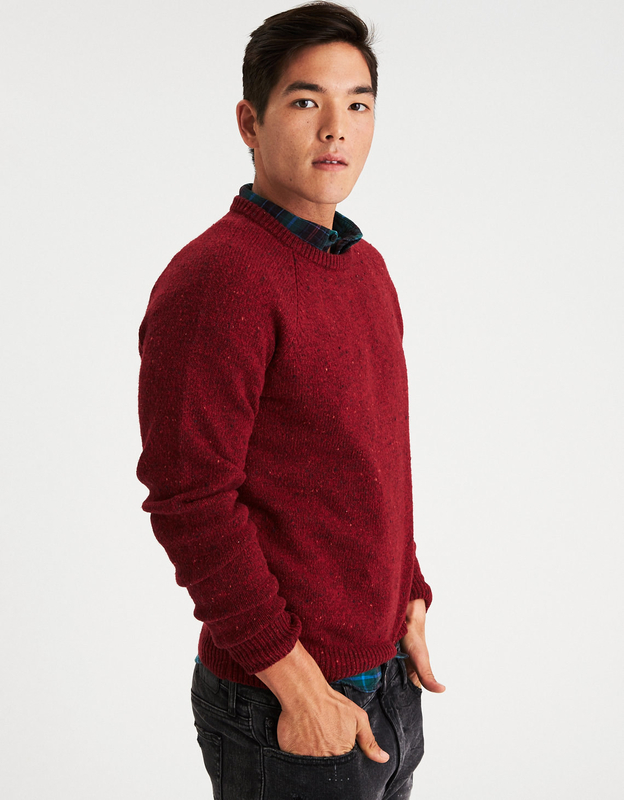 A classic crewneck sweater to wear with your fave button-up shirt or just on its own. Price: $29.97 (originally $49.95) / Sizes: XS-XXXL / Available in three colors. 33. A romantic lace top for people who think perfection exists somewhere between fancy and gothic. 34. A pair of sparkly tights that'll make any LBD look 10x more festive. 35. 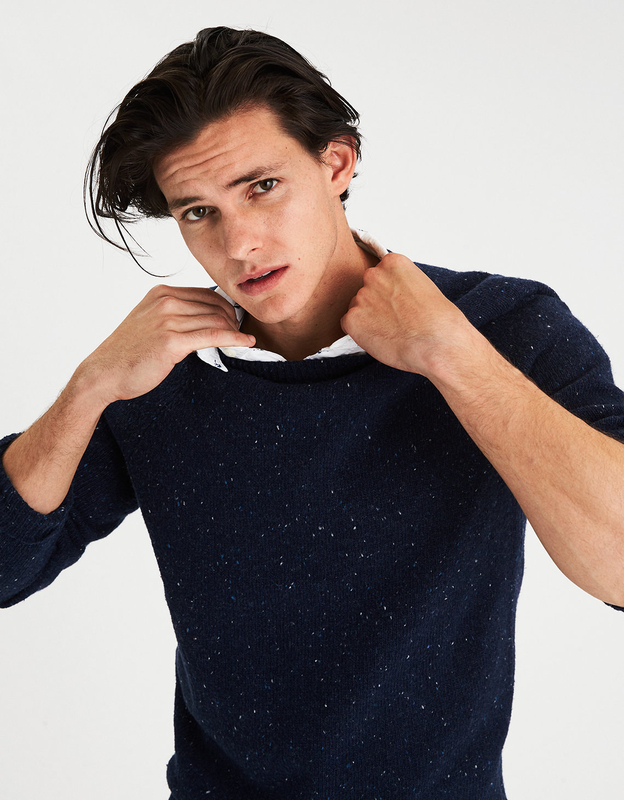 A fitted turtleneck for yet another reason to layer. 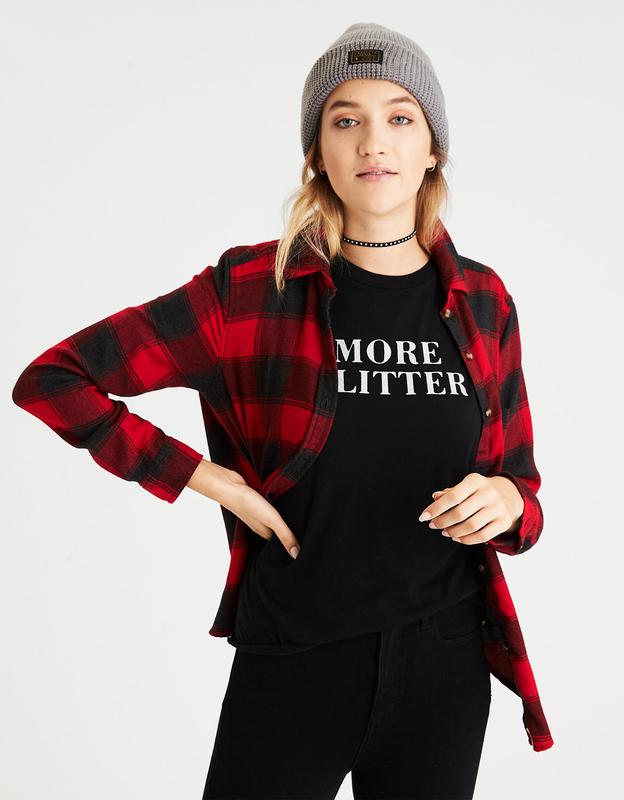 Wear it under a vest, a pair of overalls, or even a graphic sweatshirt. Price: $14.97 (originally $24.95) / Sizes: XXS-XXL / Available in four colors. 36. 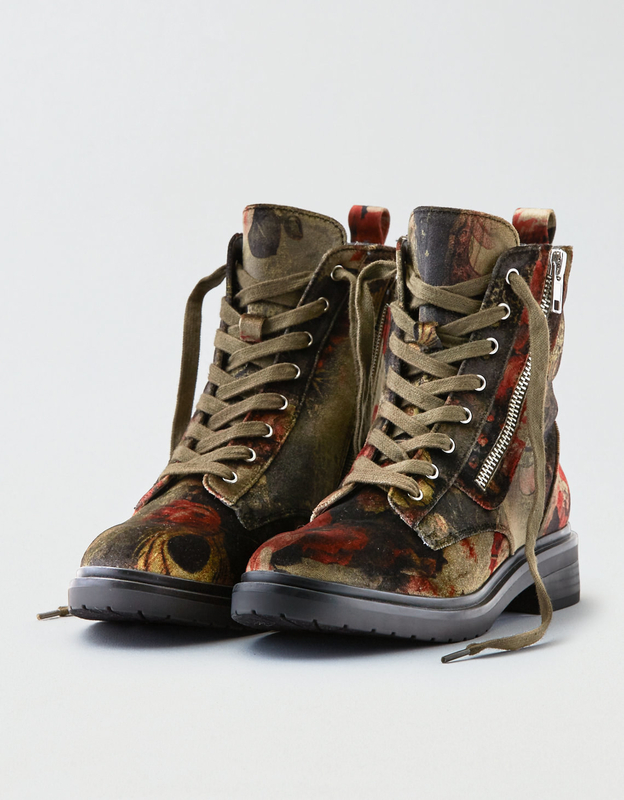 A pair of buckled boots so you can get that rocker-chic look, regardless of the type of music you prefer. 37. A delightfully comfy sweatshirt dress to lounge around in all day. Price: $29.97 (originally $49.95) / Sizes: XXS-XXL / Available in three colors. 38. A faux-fur snood that'll make you lament, "If only all scarves could be as warm and luxurious as this one!" Price: $14.97 (originally $24.95) / Available in three colors.